New York City police have arrested three men who they said barged into a St. John’s University dorm in Queens Wednesday with the intent to rob students and fired off a gunshot during the intrusion. Anthony Gusthas, 18, Mustafa Godbolt, 21 and Tyrell Sutton, 17, all of Queens, were being arraigned Thursday in Queens Criminal Court on charges of first-degree burglary, first-degree attempted robbery, second- and fourth-degree criminal possession of a weapon and fifth-degree criminal possession of a controlled substance, said Queens District Attorney Richard A. Brown, in a news release. Their attorneys could not be reached for comment and arraignment information was not available. 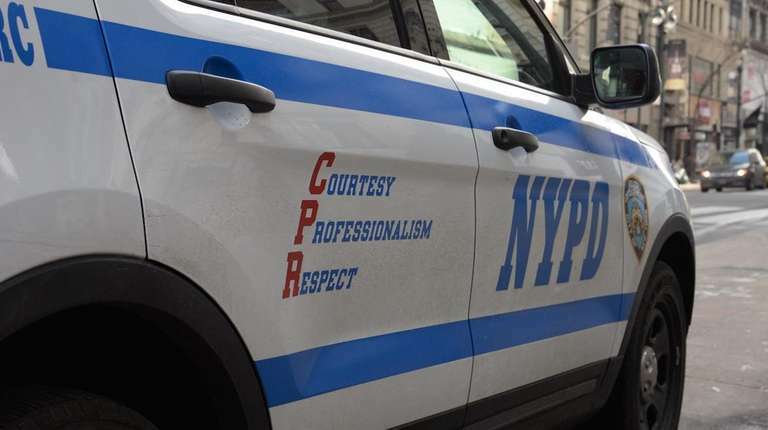 NYPD officials said three suspects entered Hollis Hall on Utopia Parkway just before 2 p.m. and engaged in an argument with several students before one of the suspects fired a shot. No one was injured, but at least one of the suspects rummaged through the students’ belongings before they fled, authorities said. Brown said a police officer saw the defendants walking on 167th Street and the Grand Central Parkway shortly after the robbery and that Sutton dropped a backpack and Godbolt dropped a jar when he approached them. Police found “duct tape, rope, scissors and a loaded .38 caliber Smith and Wesson black revolver with three live rounds of ammunition and a shell casing in the chamber from the backpack; 150 Alprazolam (Xanax) pills from the jar; and a .38 caliber round of ammunition from the dorm room,” Brown said.